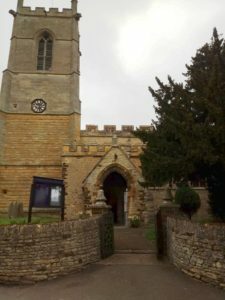 But, he said: ‘To see a church like this [here in this benefice] reminds us that the Church of England is not failing’. 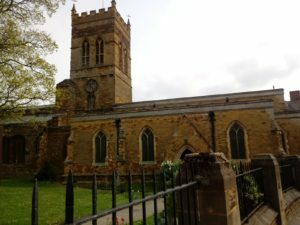 He was presented with a t-shirt which had been signed by the Messy Church congregation, and he wore it for his talk. 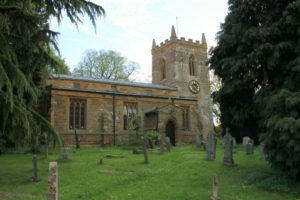 He also presented certificates to two churchwardens, each of whom had served for 50 years. Next up was a visit to the Spencer Dallington Community Centre in Northampton, where Archbishop gave a live broadcast to Lambeth Palace as part of the launch of The Commission on Housing, Church and Community. In his broadcast he talked about the high cost of rent across the country and widely different cost of housing across the UK. 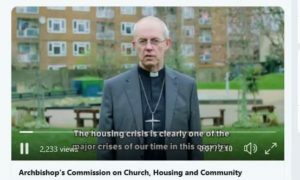 The Commission is charged with reporting on how the church can make a positive difference to housing. 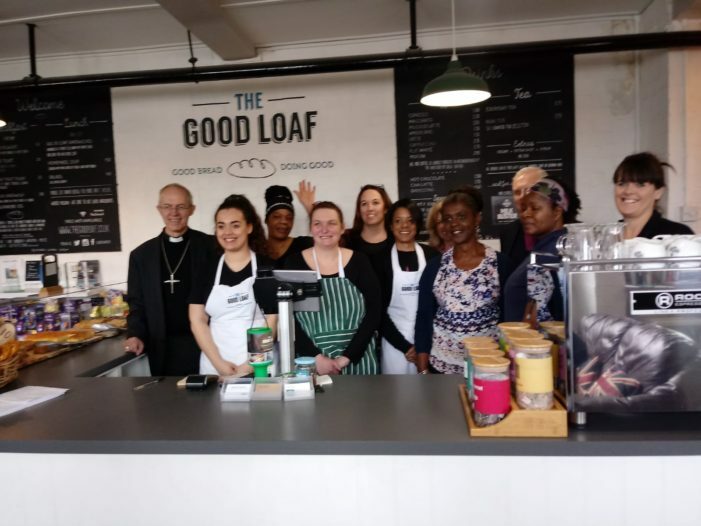 Having met with The Revd Sue Faulkner, parish priest in Dallington, and local residents from The Spencer Estate there, he commented on how the church is helping to build communities rather than just houses. 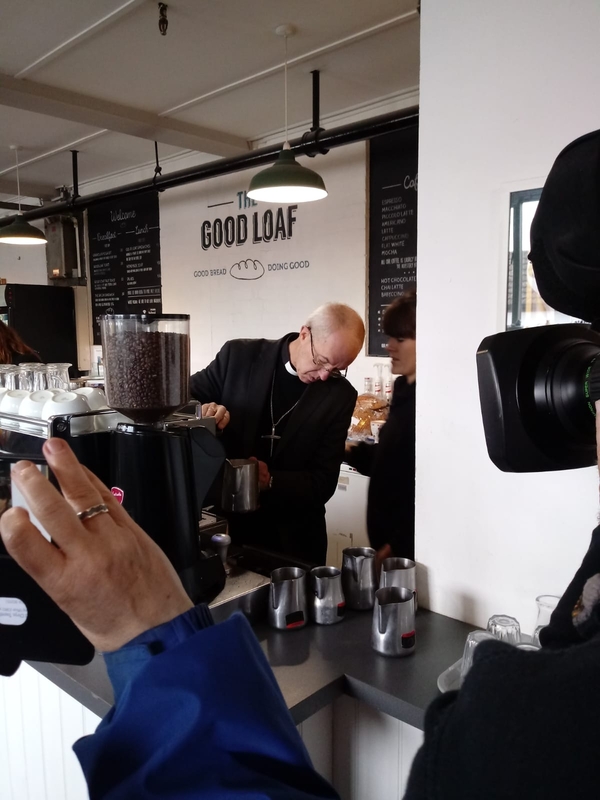 He said: ‘This Commission is focused on serving people. I hope it is thoughtful, imaginative and radical’. 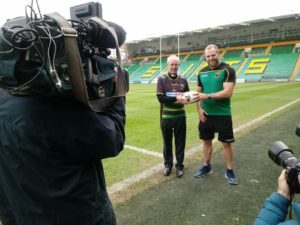 Then it was on to the Northampton Saints Rugby Club at Franklin Gardens, where he had a tour of the grounds and heard about the work of Chaplaincy, watching a video message from the Chaplain, The Revd Jez Safford (who is on sabbatical). 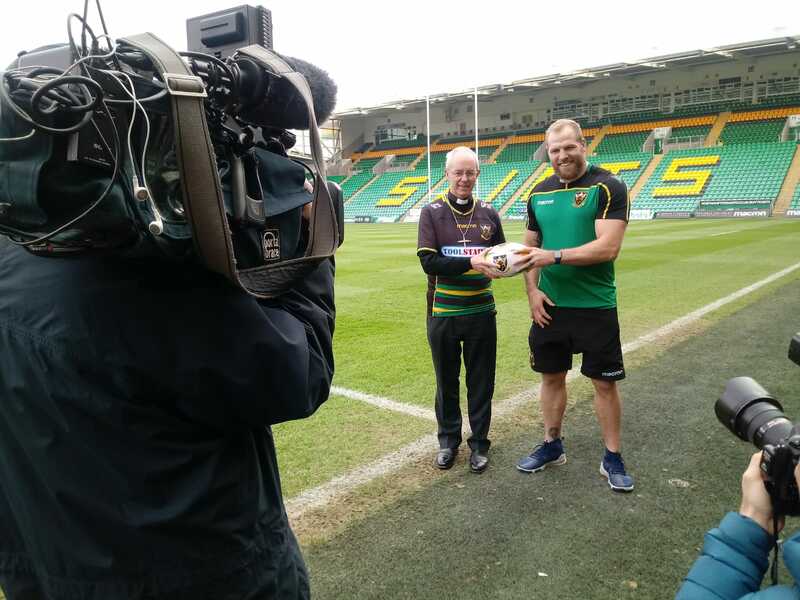 The Archbishop was presented with a Northampton Saints shirt and ball by James Haskell, the Saints’ flanker. Q from Oliver: What did you do before you became Archbishop? 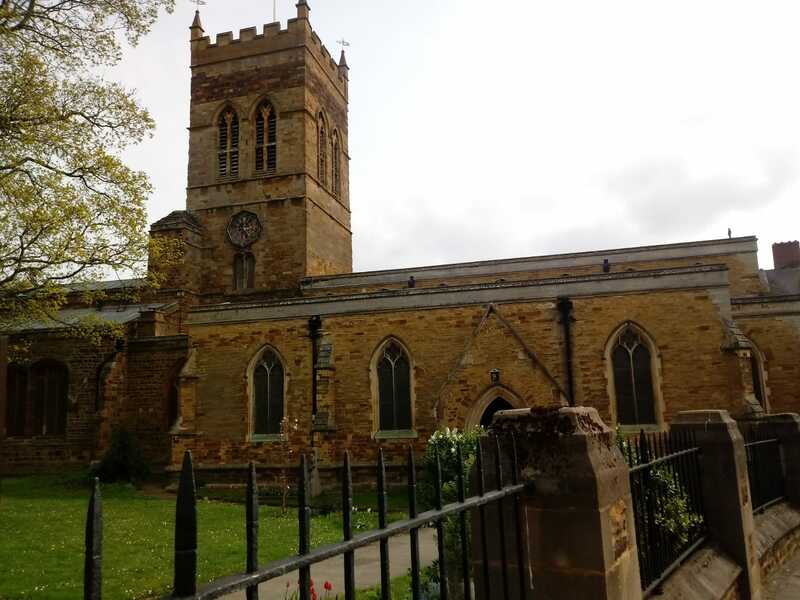 A: Bishop of Durham, posts in Liverpool and Warwickshire and working in the oil industry. Q from Sean: Why did you first become a priest? A: Because God told me to. 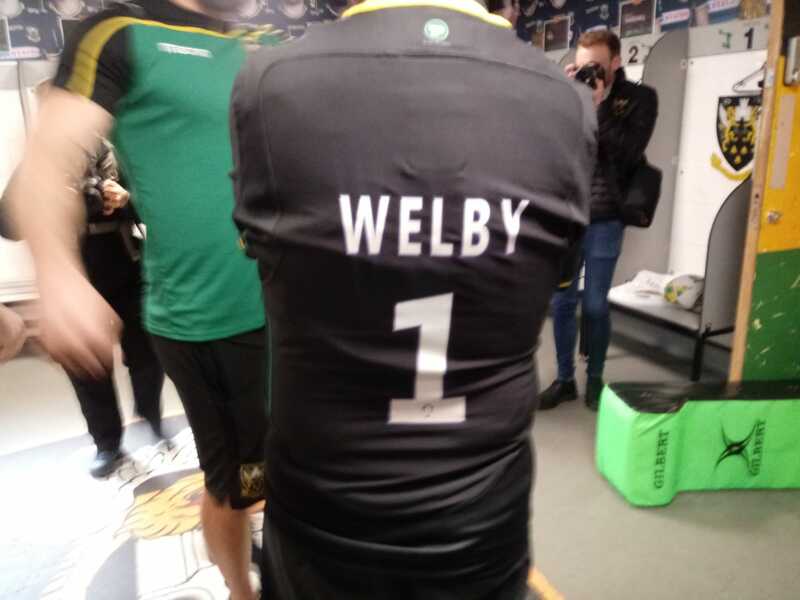 Q from Amelia: How long have you been Archbishop? Q from Lucy: Do you live in Canterbury? A: No – but I spend 80 days a year there. 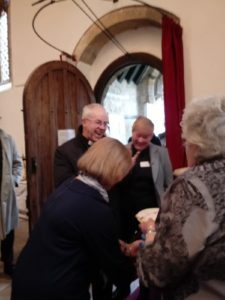 Q from George: How did you feel when you became Archbishop? Q from Zoe: Which is your favourite place and why? 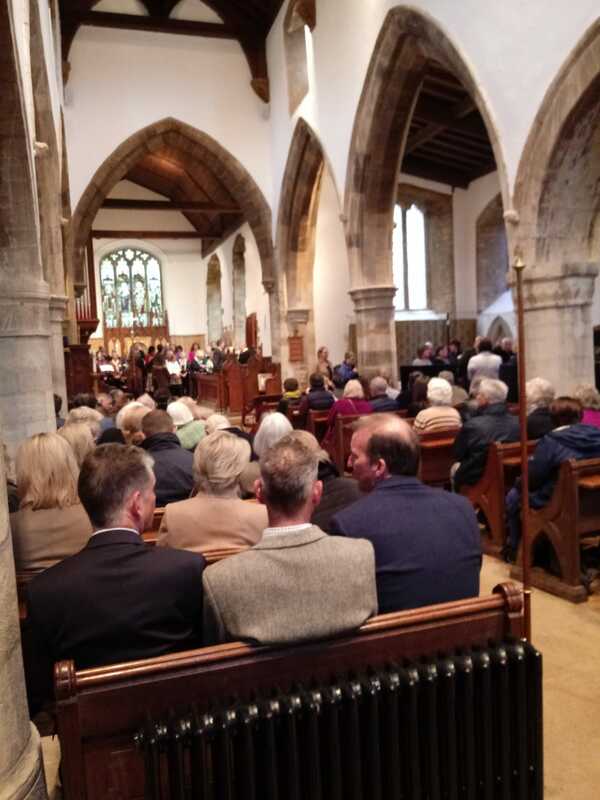 A: Apart from home, Eastern Congo – though I also love North Norfolk. Q from Ben: Who’s the most famous person you’ve married? Q from Joe: Who influenced you the most and why? Q from Summer: What do you pray for before you go to bed? A: I think about what went well today, and thank God; I think about what went badly today, and I give it to God; then I thank God and tell him I love him. 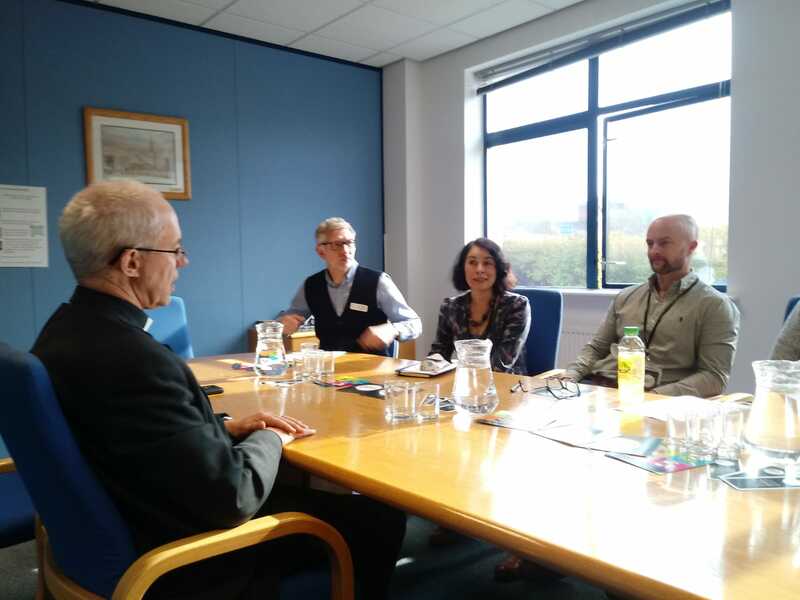 The Archbishop then spent the remainder of the afternoon at the Diocesan Office at Bouverie Court in Northampton. There he met Pete, Chad, Becky, Cameron and Alex from the Gen2 Team and heard about their work in training leaders of children and young people. The SDF (Strategic Development Fund) Generation to Generation project enables different generations to minister to one another. Archbishop Justin described their work as ‘mesmerising and superb’. 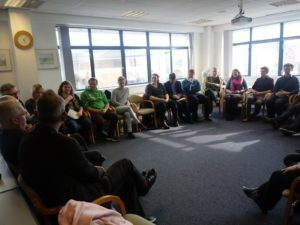 He also met people taking part in the ‘Echo’ scheme, which enabled them to explore what their calling may be. 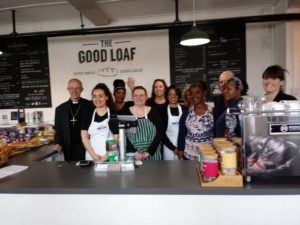 The Archbishop said the potential was extraordinary – ‘the great thing is that it’s about vocation’. 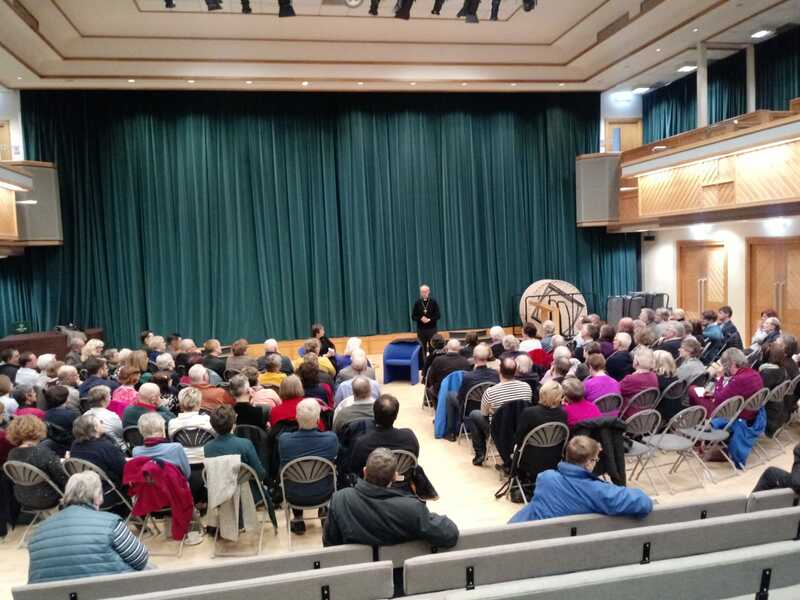 Archbishop Justin ended the day with a Q&A session with clergy and licensed lay ministers from the Diocese, at Northampton High School. Regarding his visit to the Diocese, he said: ‘I’m absolutely elated this evening – I’ve seen signs of the Kingdom here’.